N.B. In this post we will be using the word “packing” as a general term for packhouse jobs, such as grading, sorting and packing fruits or vegetables; as it is commonly used in the fruit picking industry. When you first start looking for a picking job, you often don’t realize that actually, many of them don’t involve any picking at all. 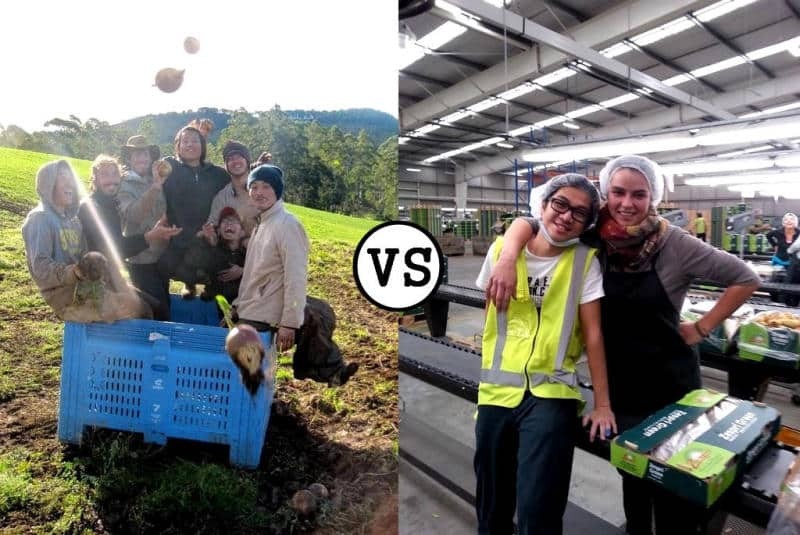 If it’s true that harvesting a crop in an orchard employs pickers, processing those products (sorting, cleaning, grading and packing) usually requires more seasonal workers than the picking itself. In this post, I will explain the main differences between these two jobs. Both require different skills and motivation; so one could be more appropriate for you than the other one depending on your personality. 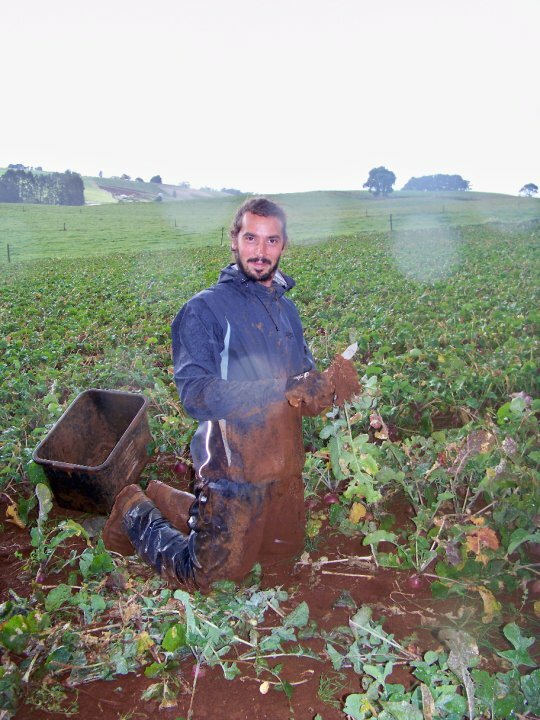 Both jobs are the most popular seasonal jobs you will find on the picking trail. They usually are casual jobs, lasting only a few weeks in the same area (while other jobs in the horticultural industry, as pruning, can last a lot longer). They both require a strong mind: as the tasks involved are repetitive, you will have to be prepared to do pretty much the same action everyday, over and over. Motivation is the keyword! Everybody can have a different leitmotiv to endure it, but I strongly encourage you to find one before starting (it can be a target of money you want to save, a physical challenge, a way to improve your concentration skills, etc.). Work safety is a concern in both positions: either standing up for long hours in front of a conveyor belt or climbing on top of a ladder to pick fruits can be hard for the body, especially if you don’t take some precautions. In fruit picking or packing jobs, work injuries can occur quickly (especially Repetitive Strain Injuries). As a result, both jobs require a bit of training if you want to built good habits and not to hurt yourself. For sure fruit picking is an outside job! As a result, enjoying working outdoor is a fundamental requirement. Never forget that you will be 100% weather dependant. Sometimes it is 40°C, no clouds, and you are just melting! Sometimes it’s pouring down rain, 5°C, and you are just freezing. Most of the time, for the farmer it doesn’t matter: if it’s time to harvest the crop, it’s time! And nobody will care if you are too hot or too cold. Of course, farmers are not completely crazy and if the conditions are getting too extreme, they will call the end of the day. But it’s often above lots of people’s “comfort zone”. If you don’t mind working in a tough environment, being covered with dust and mud, then this job is right for you!!! You must be ready to get dirty! The working hours are usually quite short (between 6-8 hours for most fruit picking jobs), but you have to be very flexible. If fruits/veggies are ready, you will be asked to work longer hours (10-12h). Also, be ready to forget about week-ends and days off. When the season is on, it’s a full time job until there are no fruits left in the trees or veggies left on the ground. Days off will often occur when the next variety to pick is not ready or when the weather is really really bad (then you must forget about enjoying your day off on the beach L!). Ask your farm at the beginning of the season if they plan to have gaps or not, as it will help you planning your season better. And be careful because people who are taking too many days off might easily get fired! A contract is for the whole season and it can be normal to work 7days a week, especially if the season just last 4 weeks (as it’s often the case in cherry picking). Most of the time, these jobs are paid on contract rate. Of course there are always exceptions, but let’s keep it general here. 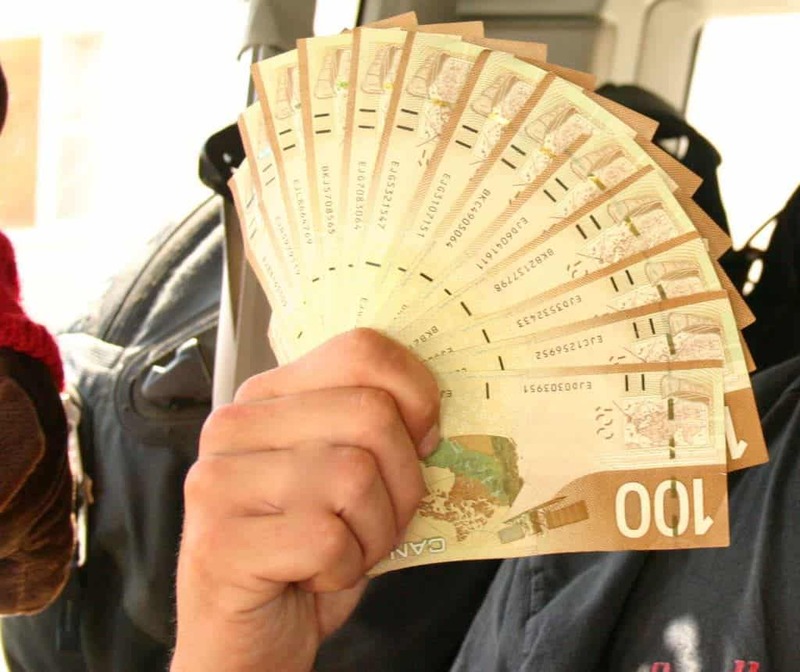 Contract jobs means that you must speed up if you want to get more money! It’s challenging, good for people who like competition as you can try to race against the best pickers of the farm and/or against your friends. Some people love this pressure as it makes them giving the best of themselves. Positive competition is good when you can handle it. But not everyone can accept to see somebody in the next row earning 2 or 3 times more money than him. You have to be mentally prepared to be frustrated some days, as this kind of situation will surely happen in any picking job. But if you are a challenger, then go! Your earnings will depend on many external factors. 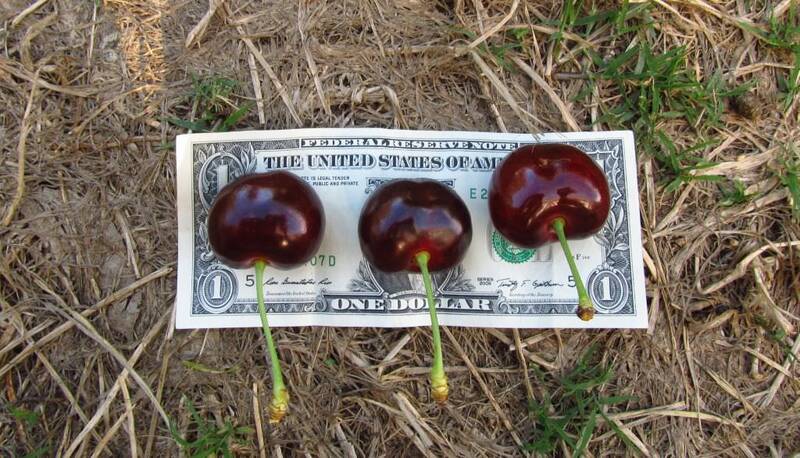 For example, a great cherry season in a particular farm one year doesn’t mean that it will be the same next year. Or a really bad apple season (with many small fruits) could be replaced by a really good in the same orchard the following year (especially if the thinning is better). You never know if a sudden hail storm, a late frost in the spring, or an insect infestation won’t destroy the future crop (believe me, in Australia I’ve seen acres and acres of promising mandarins blocks, ruined in a couple of days by the worst flood ever). For this reason, planning your earnings can be really tricky and you’re better not relying just on this job. Keep in mind that nature always got the last word, and we can’t have the control on everything, so having a plan B in case something happens is always a good option. But if you are a bit of a gambler and ready to take risks, go for it…it could definitely be worth financially! As it’s really similar to factory jobs, packing jobs are mostly indoors. For people who don’t want to worry about the weather changing all the time, this job is perfect! 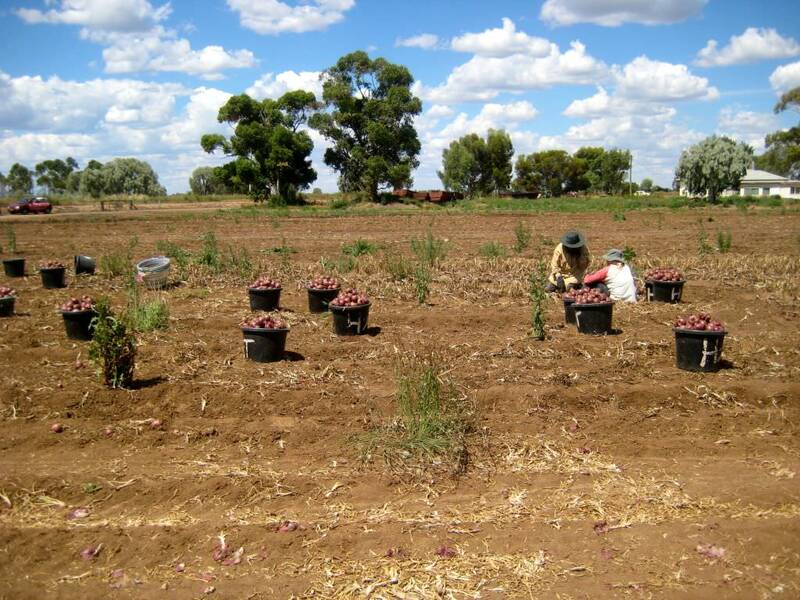 You won’t have to think every day about “Will I work tomorrow or not?”, as you probably would for a fruit picking job! But don’t forget an important thing: as it involves different cooling systems to keep the fruit/veggies in good shape before shipping them, packhouses are usually very cold places to work in. Always bring a good sweater and you will be good to go! Working hours are usually longer than in picking (around 9-12h a day), as it often takes longer to process the crop than to pick it. Saving money is much easier when you have nothing else to do than workingJ! 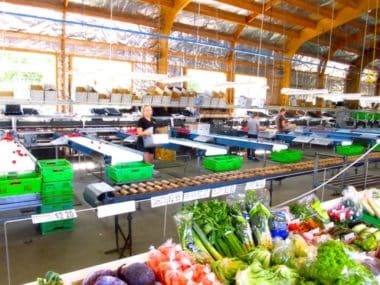 It’s common to see a packhouse operating almost 24/24h during the peak of the picking season. As any other factory job, you will have scheduled shifts that you can know in advance. This way, you can easily plan what to do on your spare time. Moreover, you’ll probably have at least a day off during your week, even at the peak of the season, so you can rest peacefully without being “on call” as you often are for picking jobs. 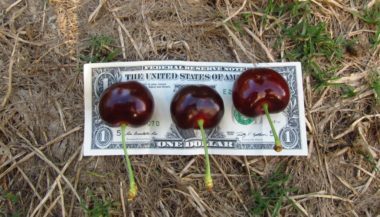 Packing jobs are mostly paid hourly (some exceptions do exist (especially for cherry sorting which can be paid on a contract rate in some orchards), but I’ll only speak about hourly jobs here). This usually means less stress and competition. You don’t have to rush so much as your salary won’t vary depending on the quantity of fruits/vegetables processed. Of course, you will be asked to keep a good pace (sleeping during working hours is still not allowedJ! ), but this one is supposed to be reachable by any worker. In term of salary, as the job is more constant and predictable, it will help you to plan your earnings in a more accurate way. Factory hours don’t vary that much and planning how much you can earn in a week/month is much easier than in a picking job paid on contract. Keep in mind that these advices are general and will never replace a true experience. Don’t feel bad because you realise that a job is not made for you. Trying is the best thing to do before saying “I like it” or “I don’t”. I switched many time from fruit picking to packing before finding myself more comfortable in picking. Every job comes with its own set of advantages and disadvantages. So if after reading this post you are still not sure, my best advice would be: try both! And don’t forget that talking to the people working around you is always good to “feel the beat” and to help you making a decision. Indeed, as each farm is different, it’s impossible to completely extrapolate.